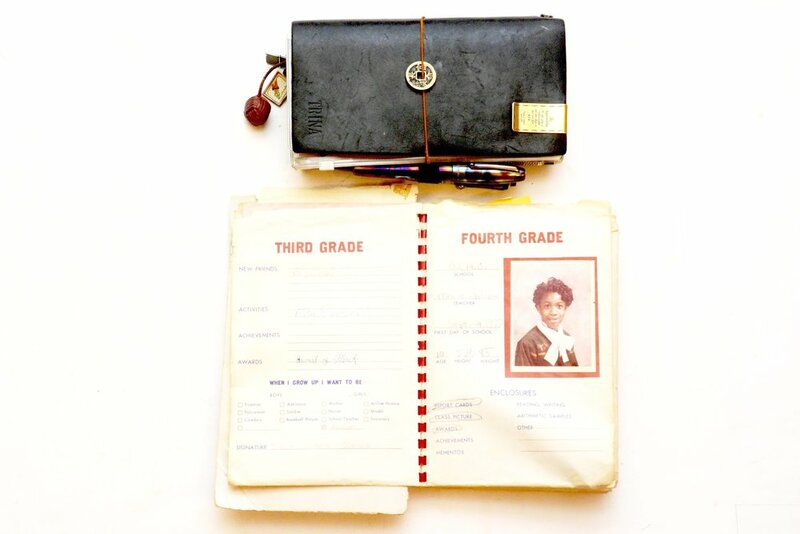 When I was school-aged, my mother had a keepsake book for me in which she kept my mementos from each school year. The pages were actually envelopes. On the outside of each envelope were details to be completed by me, including things such as the names of new friends and what I wanted to be when I grew up. Six choices were provided for girls and six choices for boys. Boys could choose from fireman, policeman, cowboy, astronaut, soldier, or baseball player. Girls got to choose from mother, nurse, school teacher, airline hostess, model, and secretary. Could the lists have been any more limiting and gendered? When I was in the first and second grade, I chose nurse, which was the obvious choice because my mother was a nurse. But when I was in the third grade, I noticed the blank line and obviously realized I had a mind of my own. I wrote in “author.” I knew enough at eight years old to know that being a nurse was not my life’s purpose. Still, later in life, I found myself struggling with the question, “What do you want to be when you grow?” Though, I seemed to be certain as a little girl. Do you recall what you wanted to be when you grew up? How close did you get to fulfilling your life’s purpose, as you’d predicted it as a child? Why do you think you did or didn’t become what you said you’d become when you were free to dream and the world was yours to bend at your will? For me, I know that confidence had a lot to do with the decisions that I made as a college student and later as an adult. As much as I always wanted to be a writer, I didn’t believe that I was talented enough. I became a social worker and later a paralegal, as I toyed with the idea of law school. I later went to graduate school and became an English teacher, settling into a career of teaching academic writing on the college level because I lacked the confidence to even try to become a writer. I would be the first in my family to get a bachelor’s degree and I certainly didn’t want to waste it on a pipe dream. I gave up before I even tried, which is worse than failing. If you didn’t become what you want to become when you were a little girl or boy, what stopped you? I’ve always been fairly certain that I was put on this earth to share my words with others. Strangely enough, that is very much what I do today, regardless of my job title. The whole idea of crafting one’s own story, authoring one’s own life, is really at the cornerstone of all that I teach in my writing classrooms, as well as my journaling workshops. This has also enabled me to make peace with my own life, as it has empowered me to live the life that I want to live. But this has evolved over time and required me to take a risk. Most people didn’t think that spending the bulk of my time inspiring other people to write their own stories and craft their own lives was a purpose. It takes courage to live a purposeful life because others may not agree with your purpose. We can never be truly happy and satisfied unless we are living a purposeful life. My life’s purpose is to break destructive cycles in my own life and craft the life I want to live through writing and to teach other people how to do the same.